The Gulf Cooperation Council (GCC) is following Washington, Paris and Tel Aviv by declaring that a political and military force that resists Israeli aggression in Southern Lebanon known as ‘Hezbollah’ a terrorist organization. The U.S., France, Israel, the Netherlands, Australia and Canada declared Hezbollah a terrorist organization. The European Union, the United Kingdom and New Zealand declared that only Hezbollah’s military division, is a terrorist organization. The GCC includes Saudi Arabia, Bahrain, Kuwait, Oman, Qatar and the United Arab Emirates (UAE) which is dominated by Sunni’s now classify Hezbollah as a “terrorist organization” that participated in “hostile actions” according to a recent Al Jazeera report. On record, the GCC consists of Western-sponsored patsies who have some of the world’s worst human rights violations and has sponsored numerous Terrorist organizations including ISIS and Al Qaeda. Al Jazeera interviewed GCC Secretary General Abdullatif al-Zayani who said “the [Hezbollah] militia recruited young people [from the Gulf] for terrorist acts” although it’s on record that Saudi Arabia and Turkey along with the U.S. has supported ISIS and other terrorist organizations. Let’s look back on Hezbollah’s history on how they became a political resistance force in the first place. 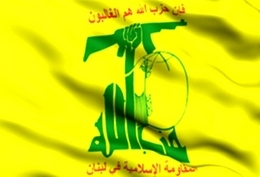 Hezbollah is a Shia political and military organization based in (southern) Lebanon which has political and financial support from Iran since the 1980s. Hezbollah became a rival political organization against the Shia Amal movement during the War of the Camps between 1985 and 1988 over Palestinian Refugee camps that were attacked by the Amal movement. Hezbollah opposed U.S. forces and Syria during the Lebanon War which was multifaceted civil war among various groups. When Israel invaded Lebanon in 1982 under the pretext that the Palestinian Liberation Organization (PLO) was firing Katyusha rockets from Southern Lebanon resulting in more than 23,000 deaths and tens of thousands more injured led to the very creation of Hezbollah. Hezbollah launched a guerilla war against Israel who occupied a strip in Southern Lebanon after the invasion with the South Lebanon Army (SLA), a militia that was sponsored by Israel to fight Hezbollah or any Lebanese resistance group. The occupation lasted until 2000, and then the Shebba Farms conflict, a lighter ongoing conflict between IDF soldiers and Hezbollah over Israel occupying the Shebba farm strip. Naturally skirmishes took place between both sides until the 2006 Lebanon War began. Hezbollah tries its best to provide social services and health care for the Lebanese people and at the same time, they must remain cautious because an undeclared nuclear power that has went to war with most of its neighbors on various levels and who is also known to commit genocide against the Palestinians is close to their borders. Hezbollah is a resistance organization against Israeli expansion which is following the Yinon Plan to destabilize the Middle East and Northern Africa and break sovereign nations within those regions into smaller nations that they can easily dominate. Israel does have one of most advanced militaries in the World due to the U.S. foreign aid. Israel is in preparations for another war with Hezbollah for some time because they do not want to suffer another defeat since every attempt to remove the Assad government has failed which led to a ceasefire brokered by Russia and the U.S. If Israel decides to launch another war against Hezbollah, it will be much more violent with massive civilian casualties on both sides of the border. Hezbollah is well prepared since they are the first line of defense against any Israeli attack on Lebanese territory. The next war will be much more violent than the 2006 conflict because there is an urgency to keep the momentum going by continuously destroying Syrian towns and cities and make Syrian life a living hell. Israel knows that when the U.S. Empire collapses, their military and financial aid would end. Israel has its back up against the wall because they have limited time to establish their geopolitical goals which poses a danger for the region. Geopolitically, Hezbollah is an obstacle to the US, Israel, Turkey and the GCC in removing Syrian President Bashar al-Assad. Hezbollah defeated Israel in 2006 and now has the expertise in how to deal with Israel or an influx of ISIS militants attempting to ignite terror attacks. But one of the main reasons the GCC wants to destabilize Lebanon and eliminate Hezbollah is to weaken Iran’s power in the region. Labeling Hezbollah a terrorist organization justifies an all out attack against the organization and it allows for the total destruction of Lebanon under the War on Terror. Iran is interfering with the Arab world? Iran’s actions are provoked by Western and Israeli interference in the Arab world since the end of World War II, first the through the creation of Israel by the British government in 1948 or America’s coup against Iran in 1953 when Mohammad Mosaddegh was removed from power. The Coup called‘Operation Ajax’ which was orchestrated by the CIA and MI6 to overthrow Mossaddegh who was replaced by the Mohammad Reza Pahlavi known as the Shah of Iran and brought back foreign oil firms to control Iran’s oil industry. The Iranian Oil industry was nationalized under Mosaddegh, so there was no surprise that Western Big oil companies had a hand in the coup. The U.S. was involved in numerous assassinations, coups and various conflicts in the Middle East and North Africa after the Second World War including Syria (1956-7), Egypt (1957), Iraq (1963), South Yemen (1982-84), Libya (1980s), and Iraq (1991), Afghanistan since 1980s until the present day, then in Iraq in 2003 and then again in both Libya and Syria in 2011. Declaring Hezbollah a terrorist organization is the first step in launching a new war on Lebanon’s southern border. The idea is to defeat Hezbollah at all costs so that the U.S., Turkey and the GCC can weaken the Syrian government. That would allow enough time to rebuild ISIS and other terror groups to remove its President Bashar al-Assad but with Russia and Iran in the picture, that will not happen. What is inevitable is another war between Israel and Hezbollah.